Thank a lot! I modified the template and used a longer message and it was just perfect. Very cute and simple. I can’t believe it’s free. 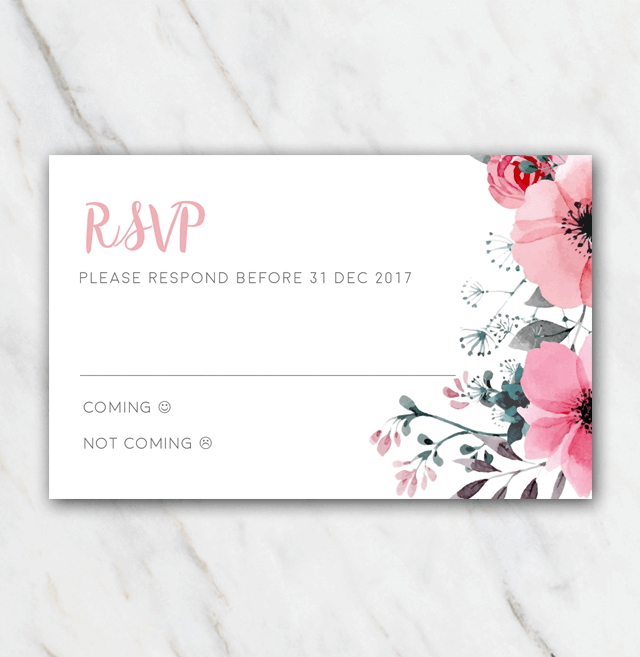 Looking for a floral wedding rsvp? Check this one out! Looks really cool with the pink flowers on the side. Perfect for a summer wedding. Want to have your invitation and save-the-date exactly in the same style? Check out the corresponding templates of the pink floral invitation and the pink floral save-the-date. Pink isn't really your color? No worries, check out the other templates right here and get inspired.